Team Foundation Server is now for everyone! Team Foundation Server is an integral part of Microsoft's Application Lifecycle Management suite for managing and delivering software projects. The 2013 update has opened up TFS for everyone by expanding capabilities to support iOS, MacOS, Android, and Java development. Professional Team Foundation Server 2013 covers the latest updates for Agile Project Management, Test-Case Management, Release Management, and shows new users the TFS workflow for managing and delivering products. The authors leverage their positions as MVP Microsoft insiders to guide you step-by-step through all things TFS, as well as help prepare you for the Team Foundation Server Certification Exam. 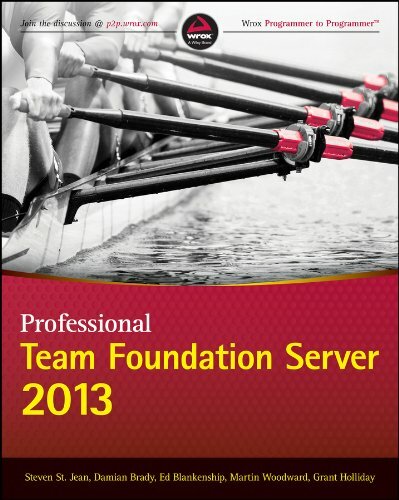 * Provides a broad overview of Team Foundation Server for developers, software project managers, testers, business analysts, and others wanting to learn how to use TFS * Gives TFS administrators the tools they need to efficiently monitor and manage the TFS environment * Covers core TFS functions including project management, work item tracking, version control, test case management, build automation, reporting * Explains extensibility options and how to write extensions for TFS * Helps certification candidates prepare for the Microsoft Team Foundation Server 2013 certification exam Professional Team Foundation Server 2013 is the ultimate guide to mastering this invaluable developer's tool. Team Foundation Server has become the leading Microsoft productivity tool for software management, and this guide covers what developers need to know to use it effectively. Written by Microsoft insiders and MVPs, the book follows the tutorial style of Wrox’s successful Professional guides. The 2013 release expands beyond the Microsoft developer community to include supporting iOS, MacOS, Android, and Java development. Offering a specific focus on the significant new features of the TFS 2013 release, the guide still provides step-by-step instructions for using TFS to manage and deliver software products in an enterprise. Explains support for Git version control. Wrox Professional guides are planned and written by working programmers to meet the real-world needs of programmers, developers, and IT professionals. Focused and relevant, they address the issues technology professionals face every day. They provide examples, practical solutions, and expert education in new technologies, all designed to help programmers do a better job. Join our Programmer to Programmer forums to ask and answer programming questions about this book, join discussions on the hottest topics in the industry, and connect with fellow programmers from around the world. Take advantage of free code samples from this book, as well as code samples from hundreds of other books, all ready to use. Find articles, e-books, sample chapters, and tables of contents for hundreds of books, and more reference resources on programming topics that matter to you.